Monacor International has recently introduced the new IMG Stage Line MOVE series, a range of professional PA speakers specifically designed for the mobile market. Available in a wide range of sizes, from the 1000W 15” down to the 200W 6”, the MOVE series speakers feature a combination of BEYMA and FAITAL Pro drivers and tweeters for excellent sound quality. 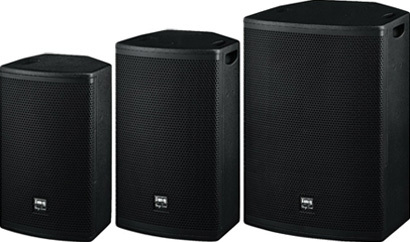 The MOVE series speakers are available now priced from £279.95.